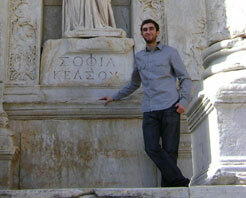 Joey Frankl ’14 (Chicago, IL): My trip to Rome and Egypt with Classics department was one of the most exciting and unique experiences of my Macalester education. We spent the trip examining the ancient histories of Rome and Egypt and how these great civilizations interacted with one and other. We accomplished this through trips to museums, visits to major landmarks, interaction with local scholars, and of course the delicious food of the Mediterranean. Our studies also included an in depth exploration of all three major cities (Rome, Alexandria, and Cairo) with a chance look at ancient history in comparison to modern culture. 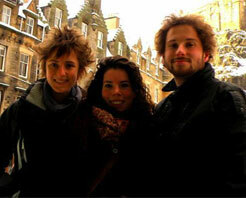 Grace Erny ’12 (Petaluma, CA): I studied abroad at the University of Edinburgh in Scotland. I’m in the archaeology track within Macalester Classics, so it was exciting for me to attend a university with an entire department devoted to archaeology. Course offerings like “Bronze Age Civilizations in the Near East and Greece” and “Constantinople and the Cities of Asia Minor” allowed me to delve into specialized topics that I might not have had an opportunity to study at Macalester. The British university system is very different from the American small liberal arts school: professors don’t assign regular homework, and you are expected to take responsibility for your own learning. This meant that my schedule at Edinburgh was much more flexible than it is at Mac. I had plenty of time for hiking in the Highlands and along the Scottish coast, exploring the National Museum of Scotland (whose collection includes everything from Pictish symbol stones to Mary Queen of Scots’ jewelry), and meeting up with friends at one of Edinburgh’s multiple pubs for live folk music and conversation. 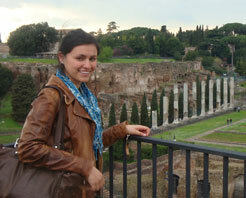 Machal Gradoz ’12 (Boulder, CO): The chance to study and learn among the art and ruins of ancient Rome is incredible. There really is no other way to describe it. The “Centro” emphasizes the importance of field trips and interaction with the ancient city in a way that makes it unique. In fact, lectures are held almost predominantly on-site instead of in the classroom, and Centristi have opportunities to go places where the public generally isn’t allowed (the fora of Augustus and Trajan, for example). There is even a weeklong field trip to Sicily and another to Campania. The bulk of the program focuses on the history, culture, and archaeology of ancient Rome, but at least one ancient language class (Greek or Latin) is required. Renaissance/Baroque Art History and Italian are also options. I took Intermediate Greek as well as Art History. The professors are great, and the other students are fun, nerdy, and come from schools all around the country. However, I wouldn’t say this program is for the casual classicist. 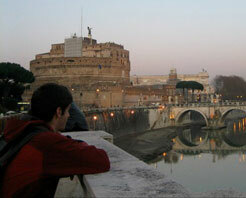 The Centro is a full immersion into the Roman world, and expectations are quite high. This is a quality program, and one of the best in classical studies, and all of the hard work is more than worth it. I highly recommend it! Eve Woogen ’12 (Somers, NY): Through CIEE’s Arabic Language and Culture program, I studied in Amman, Jordan, at the University of Jordan. During the semester I was able to intensely study the Arabic language, live with a host family, and be surrounded by the history and culture of Jordan. 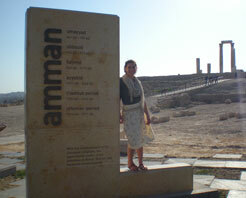 Living in Jordan offered the chance to explore and experience not only the distant history of the Classical Near East at sites such as Nabataean Petra and the Roman ruins of Jerash, but also the effects of much more recent changes and conflicts in the region.